１）Matsuo K, Osada Y, Ban R. Electrical stimulation to the trigeminal proprioceptive fibres that innervate the mechanoreceptors in Müller's muscle induces involuntary reflex contraction of the frontalis muscles. J Plast Surg Hand Surg. 2013;47:14-20. 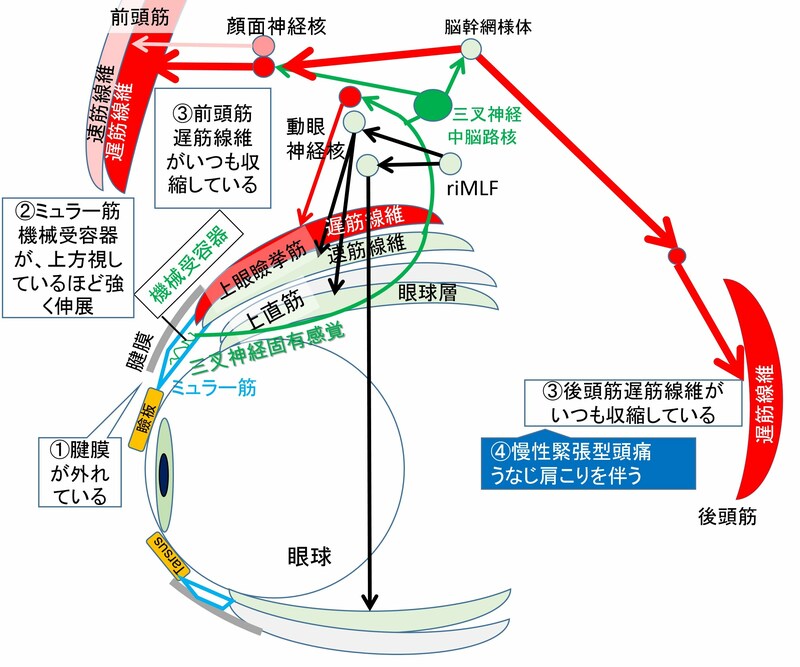 ２）Kondoh S, Matsuo K, Kikuchi N, Yuzuriha S. Pathogenesis and surgical correction of involuntary contraction of the occipitofrontalis muscle that causes forehead wrinkles. Ann Plast Surg. 2006;57:142-8. ３）Matsuo K, Ban R. Surgical desensitisation of the mechanoreceptors in Müller's muscle relieves chronic tension-type headache caused by tonic reflexive contraction of the occipitofrontalis muscle in patients with aponeurotic blepharoptosis. J Plast Surg Hand Surg. 2013;47:21-9.